Are you considering PMP certification and would like to better manage projects in today’s ever-evolving business environments? In this webinar, our highly experienced Project Manager/Facilitator will explain how to successfully prepare for your PMP Certification with the newly published PMBOK® Guide - Sixth Edition, as well as address some of the new trends and emerging practices in project management. What are the changes introduced in the new PMBOK® Guide - Sixth Edition? What are the impact of those changes to the new PMP exam (released March 26, 2018)? What are some of the new trends and emerging practices in Project Management? Find out the answers to these project management questions and more. Register now! 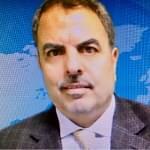 Mr. Aougab is a system engineer, technology strategist and educator with 25 + years of experience in project/program management, agile development, systems engineering, information technology, operation and technical support for multiple government agencies and public/privately owned firms.